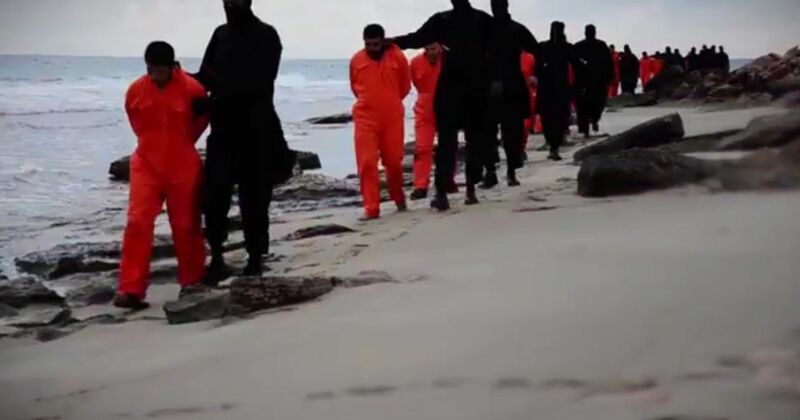 Following the gruesome video that purportedly shows militants aligned with the Islamic State beheading 21 Egyptian Coptic Christians, serious questions have emerged about the stability of Libya. More than two years ago, longtime Libyan dictator Moammar Gadhafi fell to rebels, ushering in what was supposed to be a new era of Arab Spring-style democracy in the country. Instead, what followed was government battles with rebel forces in Tripoli, while Islamist militants have taken over areas across the country. “At the very least, ISIS has left its footprints in Benghazi, Sirte, Tripoli, and portions of southern Libya,” the Institute says. It’s worth noting that the 21 Egyptian workers who were kidnapped were working in Sirte, which is ISIS-controlled. The country’s situation might only get worse. One of the ISIS “provinces” in Libya claims to have taken over the town of Nawfaliyah, according to the Long War Journal and IHS Jane’s. The group released a photo set of a convoy of trucks with masked militants carrying ISIS black flags. They appear to be armed with assault rifles and the standard rocket-propelled grenade launchers. “In addition to the jihadists’ purported gains in Nawfaliyah, the organization’s fighters seized several key buildings, including radio and television stations, in the city of Sirte. Separate photos posted on social media show the Islamic State’s province broadcasting propaganda from one of the captured media facilities,” reported the Long War Journal on Saturday. The radio station has since been broadcasting ISIS spokesperson Abu Muhammad al Adnani’s speeches. Earlier this month, Sirte-based gunmen attacked an oil field partially owned by French oil giant Total south of the city, killing 12 people. French officials said ISIS was responsible. 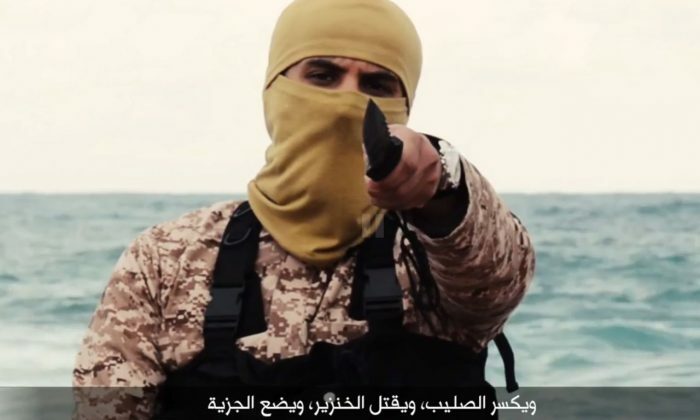 ISIS, however, might face stiff opposition from other Islamist militants in Libya. For example, the Abu Salim Martyrs Brigade has not sworn allegiance to ISIS leader Abu Bakr al Baghdadi and the group controls much of the city of Derna. But the Washington Institute has said Ansar al-Sharia, traditionally a branch of al-Qaeda in Libya, might defect to ISIS. For Western powers like the United States, the presence of ISIS is a daunting task to take on. 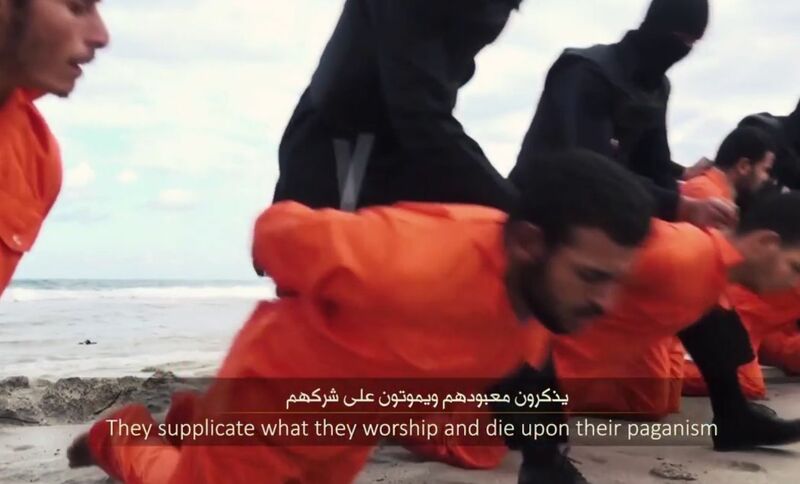 The Islamic State, or ISIS, has posted a video showing the apparent beheadings of 21 Egyptian Coptic Christians in Libya. No freedom for Iraqi's—ISIS dismembers women for cell phone use.